If you haven’t gotten the latest Trucker Path Pro update, you’re missing out on some cool new stuff. And if you have downloaded the update, there are some new things you may not know about. Here are some of the big changes worth checking out. 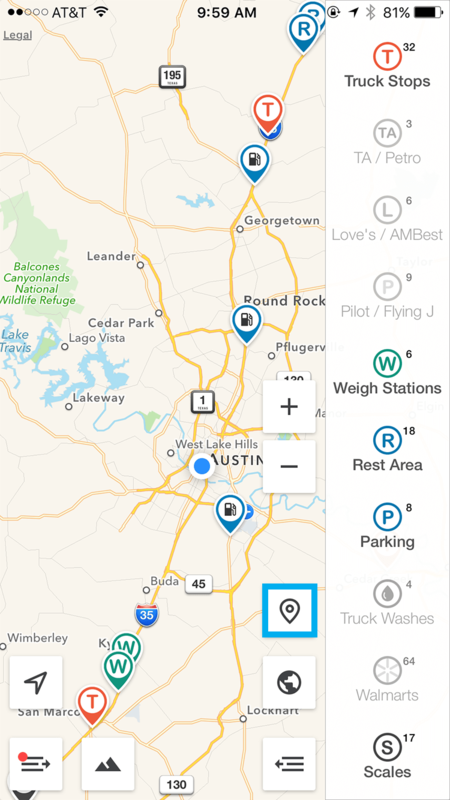 All Places – displays all types of locations from truck stops to weigh stations to Walmart stores and more. 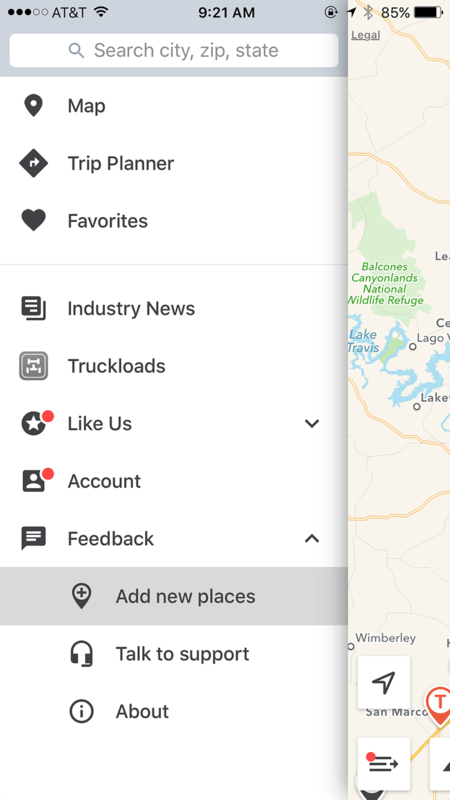 Weigh Stations – takes all pins off the map except weigh stations so you can quickly see which ones are open or closed nearby. 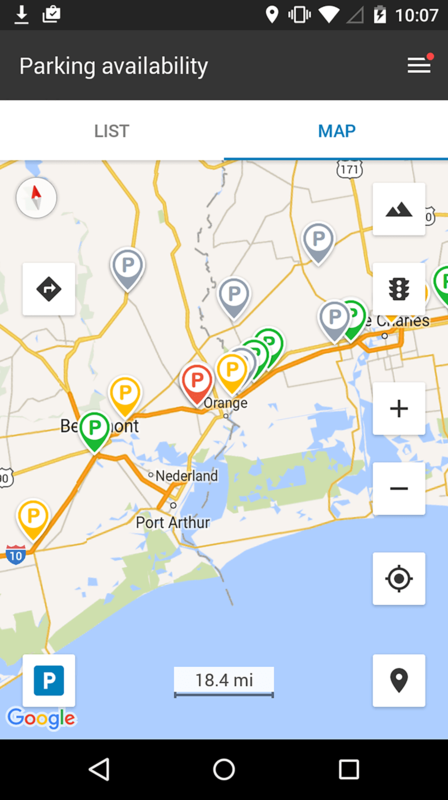 Parking Availability – takes all pins off the map except parking areas. Fuel – takes all pins off the map except places with fuel and displays the price per gallon of diesel (if we know). These prices are provided by the stops themselves, not by truckers. 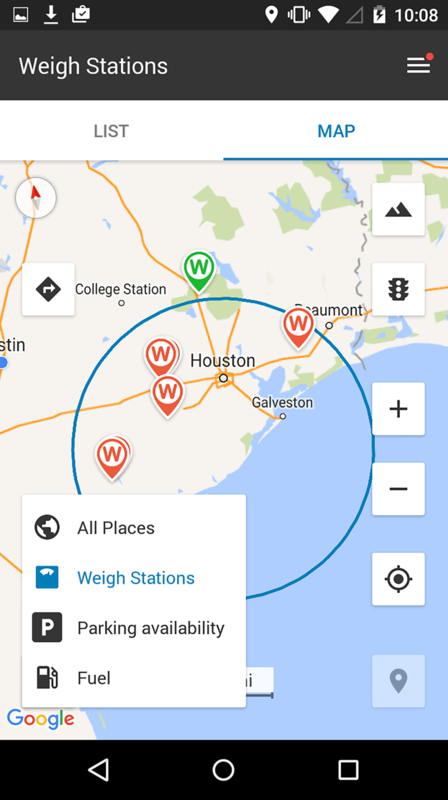 No matter what Quick View you’re using, you select what location types appear on the map. Tap the button with the pin on it, and a menu appears. Select each location type you want to see. Then, tap anywhere on the map to close the menu. A notification will appear that tells you your pin selections have been saved for the view you’re using. So let’s say you’re on a fuel plan and only want to see a certain brand of fuel stops. Make sure you’re in the Fuel View, tap that pin button, and select the brand you want. Then, remove all the other types of fuel places. Once you’ve done that, only your selected fuel brand will appear in the Fuel View. Have you seen gray pins on the map? That means no one has updated the parking status in 24 hours. Help your fellow truckers out – let them know if the parking lot is full or empty. We get tons of requests to change and add info to the app. We’re keeping up as fast as we can. To let us know about a new place, open the menu, tap Feedback, and then tap Add new places. Complete the e-mail form, and hit Send. We’ll get it in the app as quickly as possible and you will start seeing them when you update the app. If there’s something you don’t understand about the new version, let us know. Drop us a Facebook message or email us at support@truckerpath.com. We’d be glad to help you get the most out of Trucker Path Pro.